An APA citation consists of a number of different parts/elements that are required to properly attribute information to an original source. 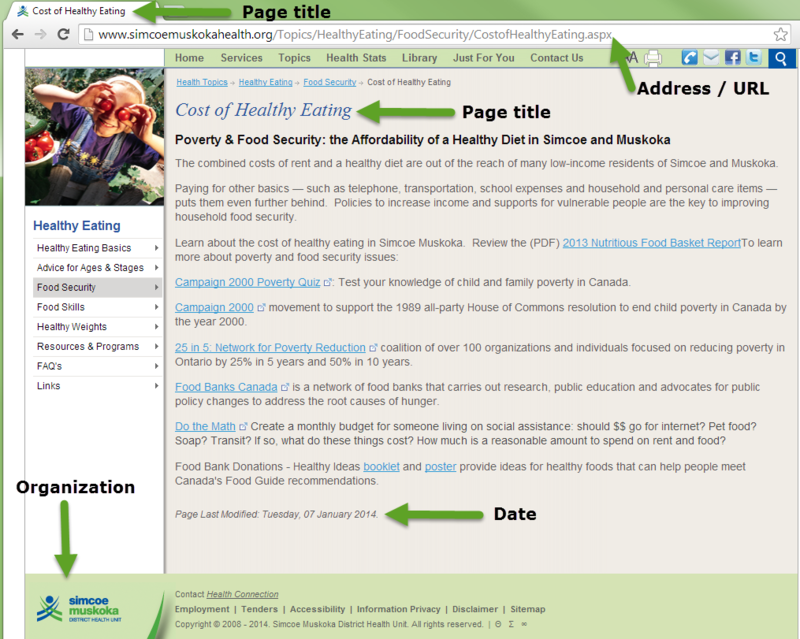 Many of these elements repeat, even across citations for different types of sources like books, articles and websites. Author/Creator written in the format: Lastname, FirstInitial. SecondInitial. 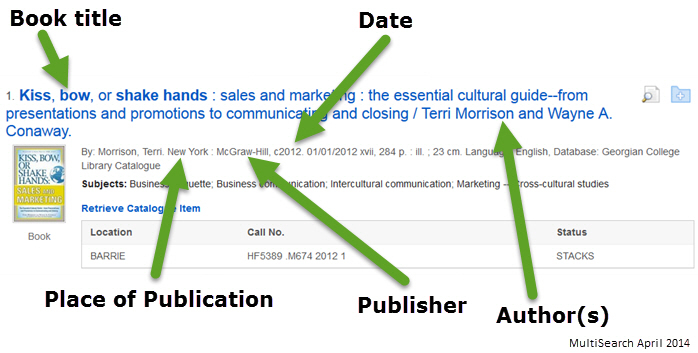 In the examples below, common APA citation parts are highlighted as they appear in the Library's MultiSearch tool. The more accurate your APA citation, the easier it is for a reader to check your sources. Morrison, T. & Conaway, W. A. (2012). Kiss, bow, or shake hands : sales and marketing : the essential cultural guide--from presentations and promotions to communicating and closing. New York, NY: McGraw-Hill.